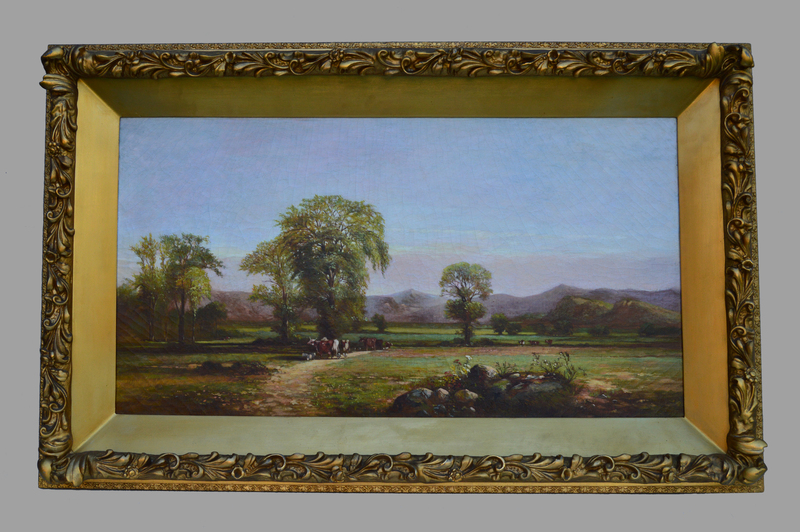 This beautiful New Hampshire White Mountain scene (possibly Intervale or the Saco River Valley) is attributed to Pennsylvania artist Charles Wilson Knapp (1823 – 1900). Knapp is known for his pastoral landscapes set in New England and the Catskill Mountains of New York. The gold gilt frame is original. Oil on canvas – 31 1/2 in. X 16 1/2 in.